Yesterday, Yves Hanoulle published his interview of me as part of his Who Is series. It was a good opportunity for a little introspection about myself and my career. He included a photo of me wearing my Red-Green-Refactor TDD hat. This hat may be more famous than I am, having been worn by Uncle Bob Martin in Episode 6 of his CleanCoders videos. This entry was posted on Wednesday, November 16th, 2011 at 7:34 AM and filed under Individuals and Interactions. George, I had to make it. 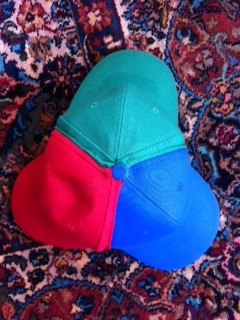 I disassembled three caps and sewed them back into one. That’s a great interview. Worth reading. Will you sell hat’s like that? I’m sure some TDD trainer would be interested.